Zero Percent is a Chicago organization that addresses both food waste and food want by facilitating the transfer of surplus food from restaurants and other businesses to nonprofit organizations that serve people in need. The group is currently staging Chicago Restaurant Giving Week, described in the article below, to raise funds to defray the high costs of picking up and delivering the perishable food from donors to donees, who are often located miles away in the sprawling and traffic-plagued city of Chicago. Launched three years ago, Zero Percent benefited from its past participation in the Financing Fair at FamilyFarmed’s annual Good Food Festival & Conference. Applications for this year’s Financing Fair, which takes place Thursday, March 24 at Chicago’s UIC Forum, will be accepted through Feb. 29 (click here for an application form). To learn more about the three days of the 12th annual Good Food Festival & Conference (March 24-26), click here. That’s the concept behind the first Chicago Restaurant Giving Week, which is taking place in Chicago from today (Feb. 22) through Sunday (Feb. 28) and aims to defray the expenses of transferring food from donor businesses to donees. And it also is raising the profile of Zero Percent, the organization behind the campaign, and its recently launched crowd-sourcing website Food Rescue. Zero Percent, based in Chicago, has gained momentum since its founding in 2013 in its efforts to address two of society’s biggest food-related issues: waste and want. Zero Percent has built relationships with 100 businesses and 80 nonprofits, and is facilitating the transfer of an average of a ton of food per day. 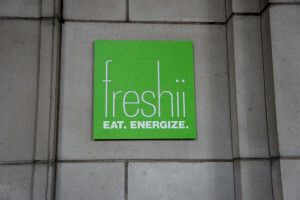 Fast-casual chains Hannah’s Bretzel and Freshii are among the donors participating in Chicago Restaurant Giving Week. And — according to Raj Karmani, the organization’s founder and chief impact officer — there is much room to grow: His goal is to expand to 500 donee organizations throughout the Chicago area by the end of this year, and many additional food businesses want to utilize this better way to deal with surplus food rather than wasting it and throwing it out. But the logistics of getting perishable food from donors — many of them downtown or in other affluent city neighborhoods or suburbs — to donees, many of them in underserved communities on the city’s South and West sides, are challenging. “There is a lot of need. There is a lot of poverty. Some of these areas are designated as food deserts. That’s where we see a lot of signups and growth and need,” Karmani said. But, he continued, “The challenge on our end is that this is fresh prepared food that needs to move quickly into those areas, but due to traffic and time and parking issues, this is a costly endeavor. And most nonprofits don’t have the resources to pick the food up, once in a while they would have a volunteer.” He added that many of these nonprofit organizations do not even have storage, meaning that drop-offs need to be timed to when these groups can serve or deliver this food immediately to individuals or families. 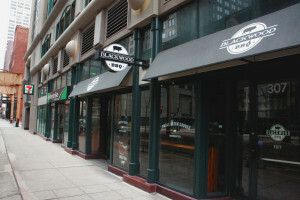 Blackwood BBQ is participating in Chicago Restaurant Week, as is Farmer’s Fridge, a recent startup that has been gaining positive attention for its concept of selling fresh salads in vending machines. For this week, he added, referring to the Chicago Restaurant Giving Week promotion, “We also are treating you.” People donating at least $5 can receive a voucher for an item from dozens of participating restaurants (click here for a map showing locations) that must be cashed in by Sunday. 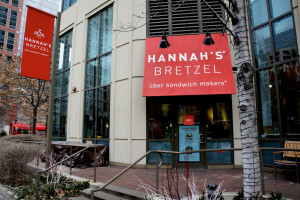 The writer of this article is looking forward to the breakfast sandwich he will be receiving from an outlet of Hannah’s Bretzel, a fast-casual restaurant located about a block from his office in downtown Chicago. Karmani also urges “binge-giving.” By making multiple contributions of $5 or more, a donor can receive additional vouchers to sample fare across town. 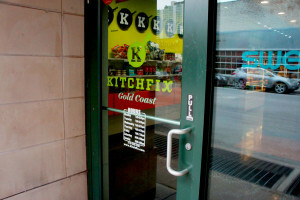 Kitchfix, another Chicago Restaurant Giving Week participant, has a close relationship with FamilyFarmed. 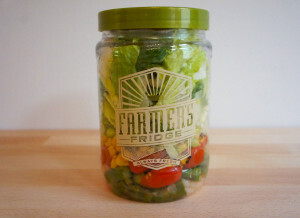 Chef/owner Josh Katt is a Fellow in FamilyFarmed’s Good Food Business Accelerator. He said the idea for the crowd-funding site emerged just two months ago, and the execution of Restaurant Giving Week developed over less than a month. This is not unusual, as Karmani’s ability to take an idea and run with it spawned Zero Percent in the first place. Karmani was a graduate student in computer science at University of Illinois’ main campus in Champaign and had no previous professional acquaintance with food issues. But he got to know the owner of a bagel shop that he frequented, and one day learned that the store had been trying to get surplus food to people in need but was having a hard time ensuring that the food they packaged for these groups would get picked up. So Karmani came up with a class project to produce an interactive platform that would connect food businesses to nonprofits and enable them to make arrangements so the food would be utilized. Zero Percent was born out of this concept after Karmani relocated to Chicago following his graduation. This entry was posted in Food access, Food and community, Food and health, Food assistance, Food Entrepreneurs, Food waste, Hunger assistance and tagged Chicago Restaurant Giving Week, Connecting food businesses with nonprofits, FamilyFarmed, food assistance, Food Rescue, food waste, Good Food Festival & Conference, Good Food Financial Fair, Raj Karmani, Zero Percent. Bookmark the permalink.